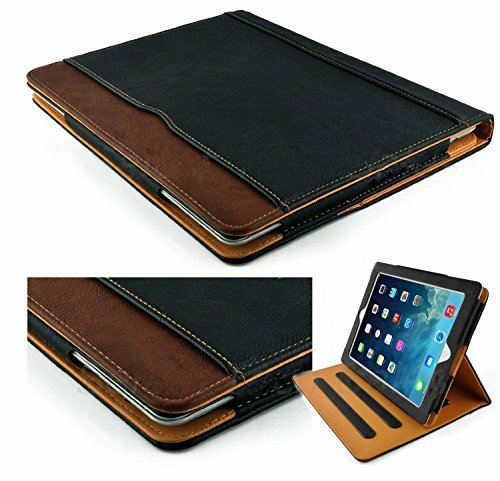 New S-Tech Black and Tan Apple iPad 9.7 5th Generation 2017 / 6th Generation 2018 Model Soft Leather Wallet Smart Cover with Sleep / Wake Feature Flip Case | Replicafer Co.
Only for the new iPad 9.7 5th and 6th Generation 2017 and 2018 models. Will NOT fit Mini / Air / Pro / or iPad 2 3 4 Generation models. If you have any questions about this product by S-Tech, contact us by completing and submitting the form below. If you are looking for a specif part number, please include it with your message.